Times constantly change, but Shakespeare never does. Or does he? 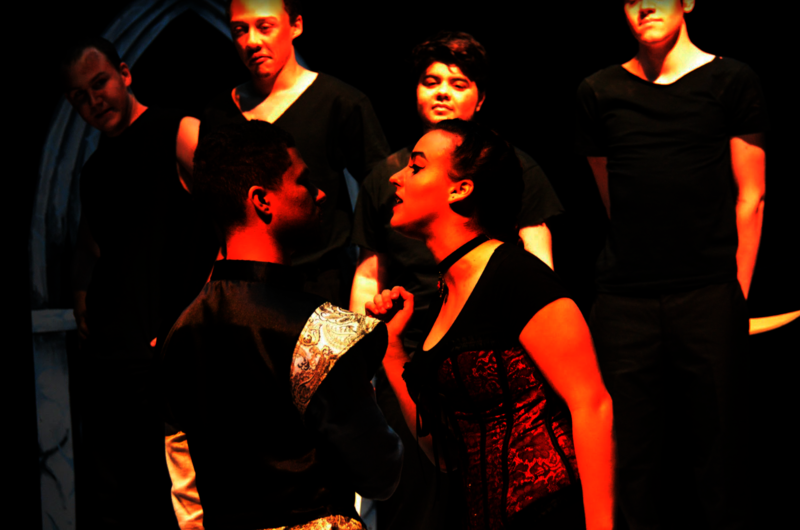 Scotch’ n’ Soda performed Rosencrantz and Guildenstern are Dead on Friday, Feb. 17 at 6:30 and 11:00 p.m., and Saturday, Oct. 29 at 2:00 and 6:30 p.m. at the Cohon Center Black Box Theater. The troupe takes Tom Stoppard’s classic play that focuses on the background characters of Hamlet and gives them a completely different purpose, turning it into a cautionary tale for a new generation. Cited as an “inside out Hamlet” by director, English major, and senior Mackenzie Nicholson and assistant director, Computer Science and Arts major, and junior Charlotte-Alyss Weissglass, the Tony Award-winning Rosencrantz and Guildenstern are Dead focuses on Hamlet’s two best friends rather than Hamlet himself. In their own mental and physical quest to find out who they are and what their purpose is, the two rope themselves up in the king of Denmark, Claudius’, schemes to decipher Hamlet’s lunacy and, ultimately, into their own deaths. Stoppard’s play tells a powerful message about fate, which the directors take to emphasize a “warning about the dangers of passivity” in their tragicomedy production of the 1968 Tony Award winner for Best Play. Shakespeare’s classic style of verse is adapted perfectly by Stoppard in his absurdist dialogue on the nature of reality, death, and purpose, and the actors behind the eponymous duo perfectly carry out the vision of Stoppard’s play with their every gesture. First year and Dietrich College student Alex Gist’s hyperactive yet purposeful portrayal of Rosencrantz constantly brought a smile through his musings about death. “He reminds me a lot of Don Quixote in that most of the time he's a complete idiot but sometimes he gives the audience brilliant and philosophical spiels that tend to be some of the most profound musings in the show,” Gist said. Gist's portrayal of Rosencrantz was a perfect foil to Music major and sophomore Jordan Speranzo’s hopeful, calculated and thoughtful Guildenstern. Their chemistry throughout the show was the driving anchor of the production and one of the most memorable parts about Scotch’ n’ Soda’s play. Another stand-out character of the production was the Player, leader of the Tragedians in Denmark. Psychology and decision sciences double major and sophomore Heather Graci brought extravagant charisma and character to her performance, yet also showcased a deeper layer of emotion behind the Player’s schemes. The ensemble of five Tragedians, a company of travelling impoverished actors,were also a delightful surprise, balancing out the Player’s dramatic personality and actions with their comedic antics. 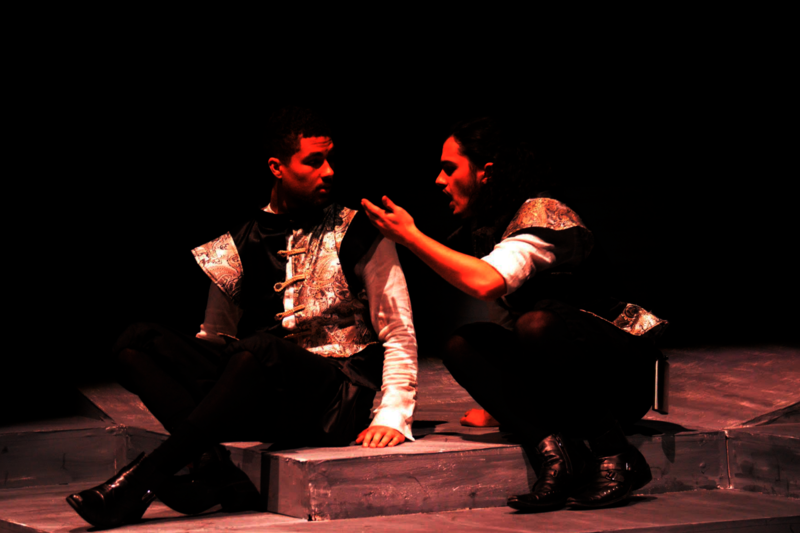 The traditional characters of the show, such as Hamlet and the rest of the royal court, provided a great balance to the unhinged side of the production. In particular, first year and statistics and machine learning major Kevin Wang’s performance as Hamlet straddled between each side of the play, fitting into the typical plot of Hamlet with his madness yet also using it to meld with the craziness that is Rosencrantz and Guildenstern are Dead. Throughout the play, all the actors embraced the show’s absurdist nature, letting the chaotic essence of the show dictate its plot and motion. At the same time, however, each actor or actress made something out of the show’s insanity to create a great performance onstage. 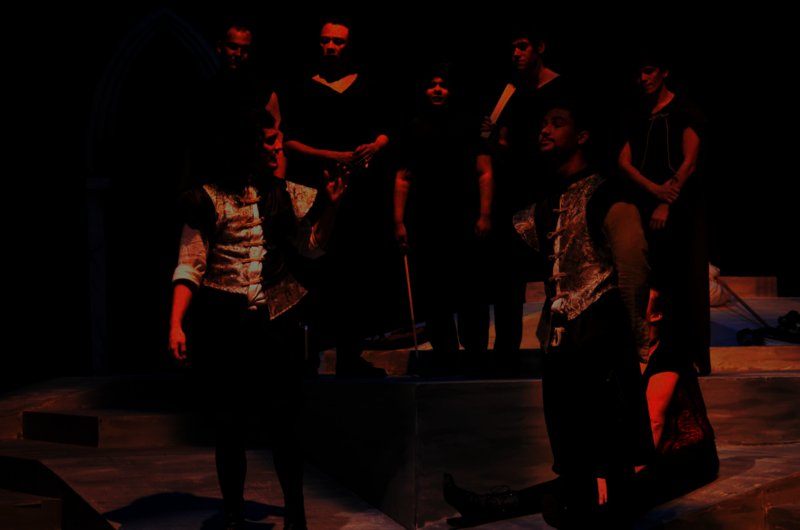 In a play where all the plot points seem to be set in stone, each character – especially Rosencrantz and Guildenstern themselves – fights to express their own individual voice amidst the exciting play and thus inspiring those onstage with him or her to rise to the occasion. 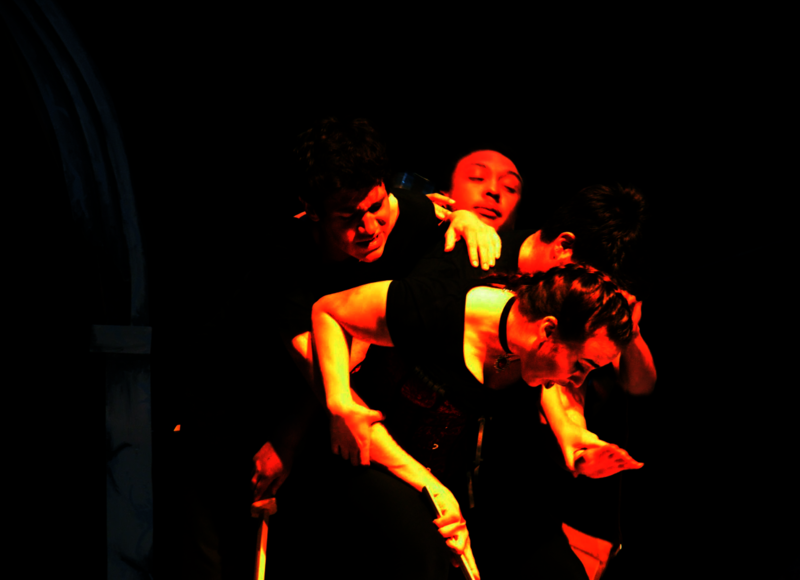 Through the performances and the story of the play, the directors hope that this collision of talents inspires others to take charge of their own pirate ship when it seems like they are headed towards certain death, and steer it out of its collision course instead of following the path it seemingly has charted for them.